In this brief paragraph Octavio Paz almost flawlessly defines the relationship of “the Mexican” with Death throughout history, and at every moment of his/her life (he was indeed a wonderful writer). In particular this describes the symbiosis between humans and earth, as well as the incorporeal and supernatural essence found in the colorful Day of the Dead throughout the width and breadth of the Mexican Republic. 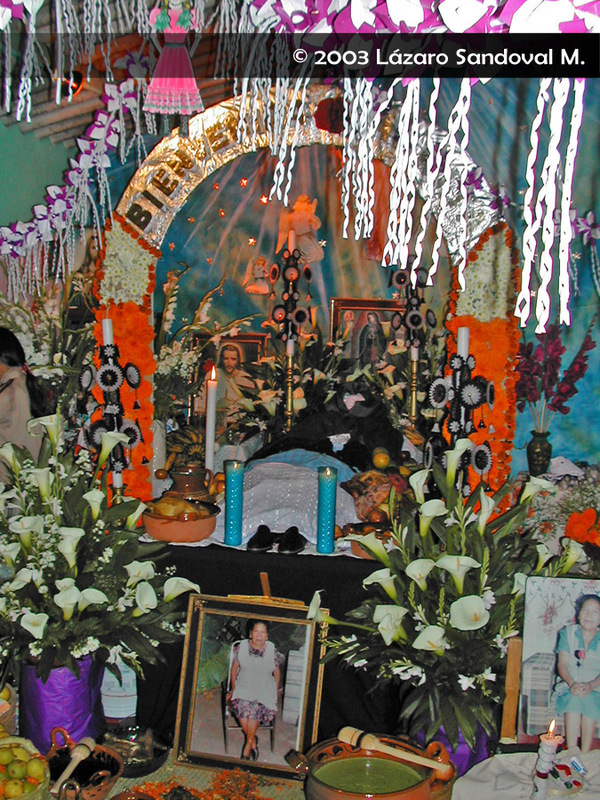 While in other countries death wears mournful hues and includes a certain sense of doom, in Mexico in the full light of the day Death can be observed in vibrant energetic colors, such as orange, blue and pink; it is awaited and preparations for its coming are arranged in advance. It is a day of festivity and coming together. These are days in which the deceased are celebrated not solely as a simple memory or in tribute, but rather that these beings, who come from an unknown place, return to relish in a bit of earthly delights. 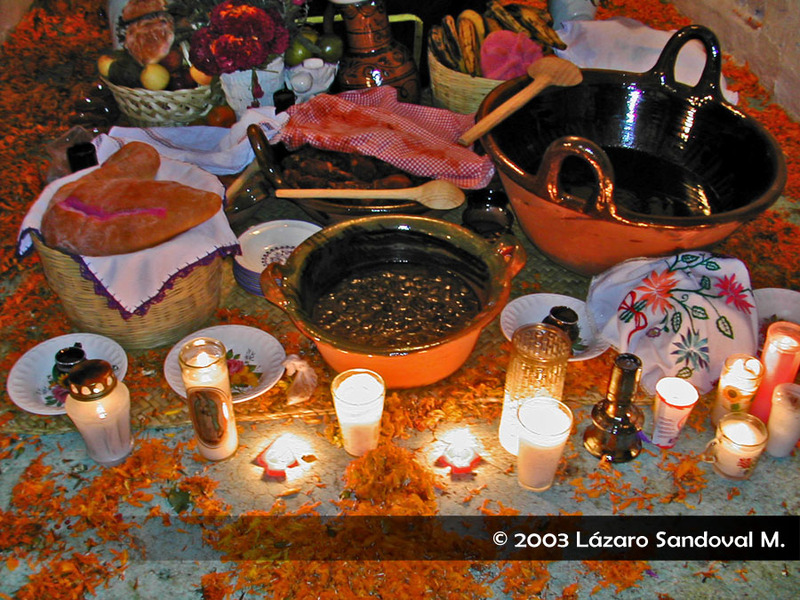 Therefore the altars, which contain all the favorite dishes of the departed, are also adorned with Cempazúchitl flowers with their strong aroma and brilliant orange color; they are like the lines of a super highway showing spirits the way. There is joy and celebration because loved ones are “coming to visit.” Music, cut-out crepe paper, sweets, candles, incense, bread, drinks, and laughter float upon the air. Death is a physical and intellectual being, dressed to the nines and transforming itself into the majestic Catrina; silly poems are written up (known as calaveras) that show off each individual’s obsessions and vices. Furthermore, Death is another being with whom to reside, chide, eat and drink with. There is no fear; Death is a being one is always going to come across….like a neighbor. This mysterious and cordial coexistence has existed from pre-Hispanic times; entry into the underworld is just one more episode of a human’s life. 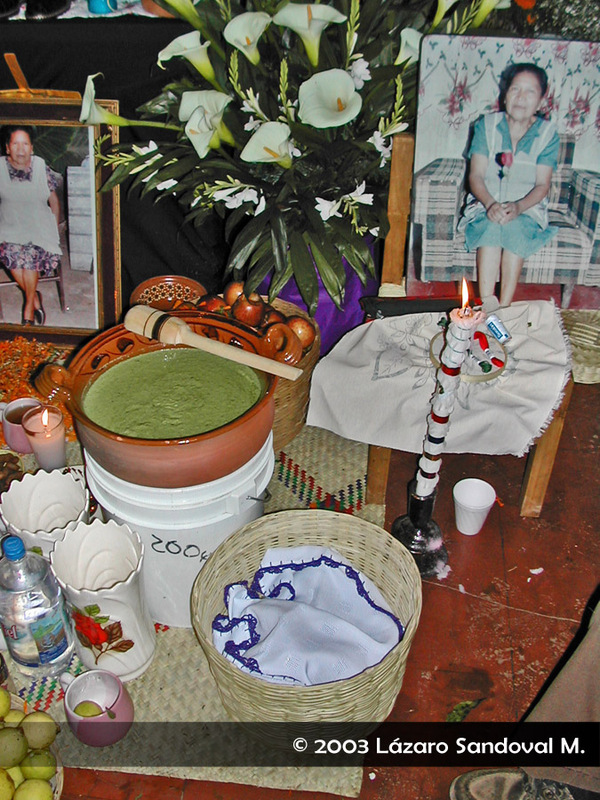 It is “the Mexican” who is aware of his/her mortality and celebrates it each year, and thereby life is enjoyed much more.